From 1963 to 1984, Sunday morning in Chicago meant going to church, listening to church broadcasts on the radio, and watching Jubilee Showcase on WBKB (WLS) TV. The Emmy Award-winning program, hosted by Sid Ordower, brought the sights and sounds of gospel music into living rooms across Chicago. For many African Americans, it was “church before church,” while it introduced gospel music to people of all races, creeds, and walks of life. 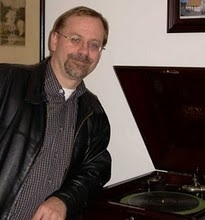 A promotional video for the Jubilee Showcase documentary campaign hosted by Steve Ordower, son of the show’s founder and host, Sid Ordower, and gospel artist Ernie Hudson. Includes rare vintage clips, black and white and color, featuring the gospel giants who showed up regularly on the broadcast. 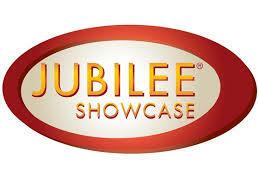 Ordower’s vision was for Jubilee Showcase to present gospel’s top and emerging talents in a dignified fashion. In the process, he created a legacy that today represents some of the only remaining performance footage of iconic gospel artists, such as Roberta Martin, the Hutchinson Sunbeams (aka the Emotions), Princess Stewart, pre-Say Amen Somebody Thomas A. Dorsey, and Alex Bradford. The Staple Singers in a typically rousing Jubilee Showcase performance featuring an awesome extended guitar solo by Pops. Check this out, then contribute to the Kickstarter campaign to fund a documentary film about the show’s history by clicking here. 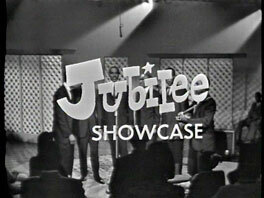 Jubilee Showcase also has the distinction of being the longest-running gospel music television program before Bobby Jones Gospel. Watching the 100 episodes of Jubilee Showcase archived at the Harold Washington Library in Chicago is a exhilarating and historic walk back in time because, like many music genres, gospel is a visual as well as aural experience.